Feeding your baby just became more hygienic and convenient! LuvLap introduces a range of ergonomically designed and easy-to-use nursing essentials, which help new mothers to conveniently breastfeed and sterilise feeding bottles with ease. Now sterilising is as easy as switching on a button! 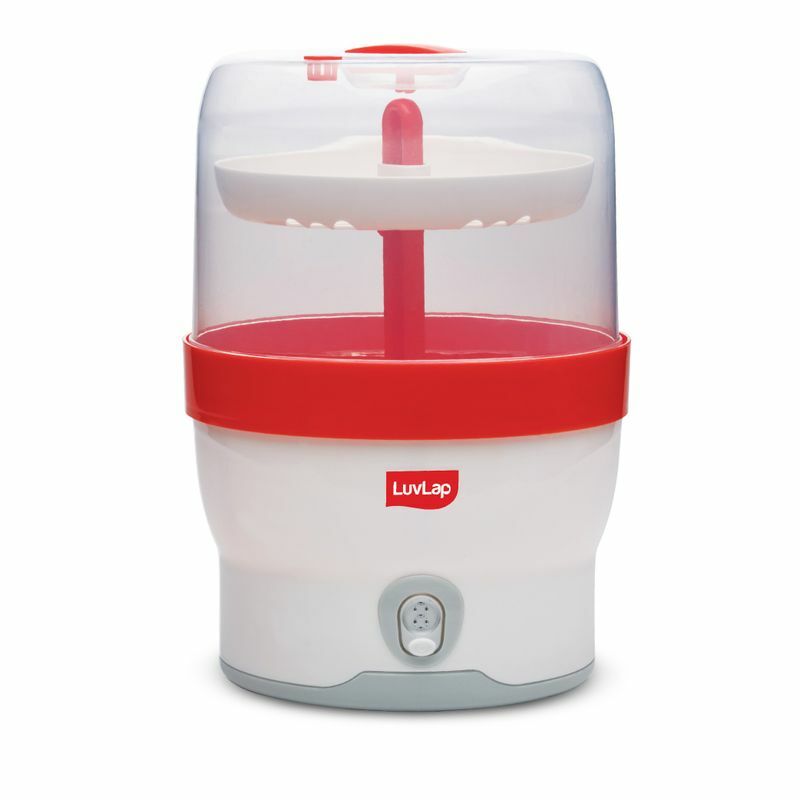 LuvLap Royal Steam Sterilizer is specially designed to keep your baby's bottles and bowls hygienic and free of germs and bacteria. It sterilises the utensils in a matter of 8 minutes and kills 99.9% of germs and bacteria. It has the capacity to fit six standard size bottles at a time. The machine has an auto shut-off feature which makes it convenient to use. The contents in the steriliser stay sterile upto three hours if the lid stays unopened. It has a light indicator with sound which allows easy and precise operation. Explore the entire range of Feeding and Nursing available on Nykaa. Shop more LuvLap products here.You can browse through the complete world of LuvLap Feeding and Nursing .